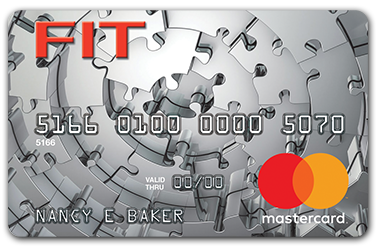 The FIT Mastercard® Credit Card is designed for people with less than perfect credit. It is easy to complete our online application. If you make on-time minimum payments and maintain your balances under the credit limits, you may be able to build or reestablish your credit! 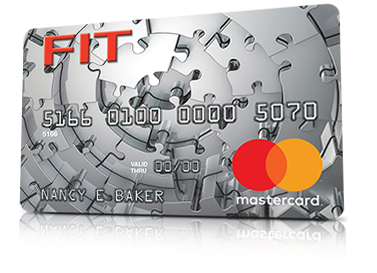 The FIT Mastercard Credit Card is designed for people who want to get back on track. After you complete our short and easy online application, your results will be ready in a matter of seconds! Don't miss this chance! Use your card at locations everywhere that Mastercard® is accepted. Approved applicants are required to pay a $89.00 Processing Fee** to open your account and access your available credit. You will be required to call from one of these phone numbers to activate your card. I certify that I am a U.S. resident over the age of 18 (over the age of 19 in AL). Why Choose the FIT Mastercard®? If you have financial challenges or are trying to improve your credit score, using a credit card responsibly can help. The FIT Mastercard will report your payment activity monthly to the three major credit bureaus. Debit card use doesn't appear anywhere on your credit report, therefore, it can't help you build or improve your credit. It is easy to complete our online application. The FIT Mastercard® is designed for people with less than perfect credit. If you make on-time minimum payments and maintain your balances under the credit limits, you may be able to build or reestablish your credit!